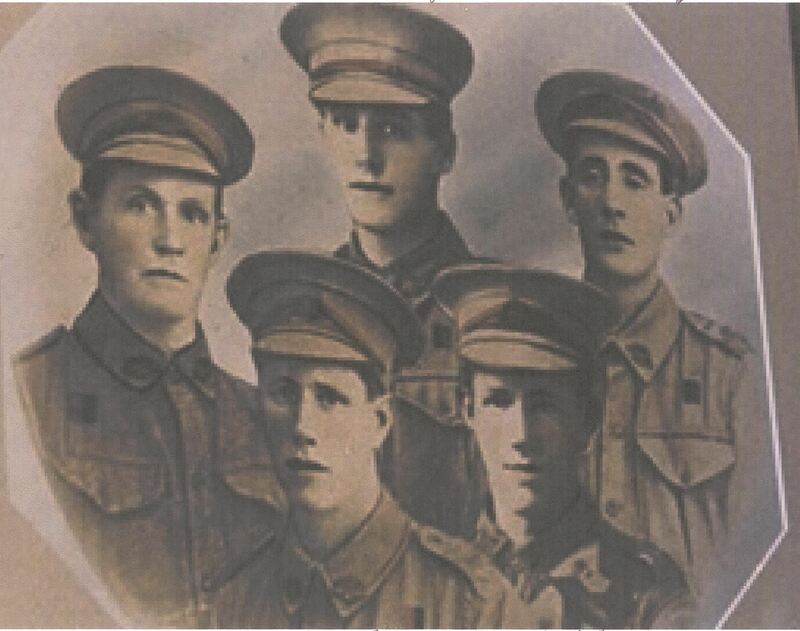 Private Conrad Anderson (Service no: 354) was born in Mount Kembla and was one of five in a family who served in the AIF. His father Charles was born in Norway circa 1860, and later travelled to Australia to meet his wife to be Agnes Lawless in Bungendore. Together they had five sons and four daughters. The children were born in Bungendore, Mount Kembla and Stockton. Charles and his sons were all miners. Conrad enlisted on the 29th November, 1915 and on the 1st May, 1916 sailed with the 35th Battalion on HMAT A24 Benalla. He saw service on the western front with 35th Battalion until 18th January, 1917 when he transferred to the 9th Light Machine Gun Battalion. There is no entry for any injury on his file but he was returned to Australia in February 1918 and discharged medically unfit on 16th March, 1918. In 1920 he married Ivy Dreamer and they raised their family in Kurri Kurri until he died in 1952. Father Charles Anderson Snr (Service no:1782) went to Europe but did not see active service. He was returned to Australia and discharged medically unfit on 27th July, 1917 due to, the term used at the time, for "over age soldier's senility". Brother Edward William Anderson (Service no: 358) was born 12th October, 1877 and enlisted as William on 17th October, 1915 and left behind a wife and three children with a fourth on the way. He died in England on 26th June, 1917 from illness and is buried in Bullford Parish Cemetery, Wiltshire. Brother Albert Anderson (Service no:7439) was born 26th May, 1898 and required his mother's permission to enlist on 20th March, 1917. Records show that his father was also serving. He was wounded in action on 12th June, 1918 receiving a shrapnel wound to his back. He was returned to Australia and discharged medically unfit on 6th February, 1919. He was still alive in 1969. Brother Oscar Anderson (Service no:2857) was born in Mount Kembla on 29th December, 1891. He enlisted in the AIF on 1st December, 1915 and embarked on SS Port Napier on 17th November, 1916. He served on the Western Front with 46th Battalion and was gassed on 18th October, 1917. He returned to Australia and in 1923 married Claire O'Brien and they raised their family in Kurri Kurri until his death on 26th February, 1973.